Most of us accept that nowadays there is very little gap between our work and personal lives. We are connected to our work through devices at all times, and many of us feel that we’re ‘on call’ or representing our workplaces regardless of our physical location or the time of day. For this reason, many professionals seek out work that is meaningful to them. Just as people are expected to “become their jobs” their workplaces also have the onus of developing them as people. It is no longer “show up and get a paycheck”. It is “invest in us and we’ll invest in you”. The more progressive workplaces are now seen as places where we can continue to develop, learn and grow as individuals while we contribute our talents and energy. I’ve been thinking about this as I watch my kids and their schoolmates who are developing, learning and growing in elementary school. I coach their cross-country team and I love watching all of them learn a little more about themselves each season. I encourage as many kids as possible to come out and run, as sports is one of the best ways that they learn and grow: they develop confidence, learn how to deal with failure, start to develop resilience and appreciate the benefits of teamwork and cheering each other on. 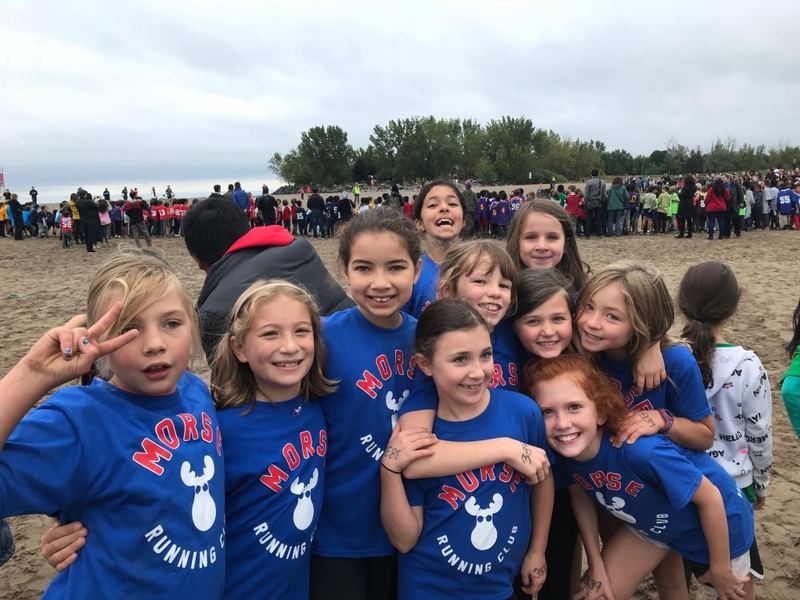 Many of the kids who come out to our running club don’t participate in other sports, but they do this one because we’ve made it the cultural norm. They get t-shirts, they are celebrated, and most of their friends do it (that’s why my own kids take part!) The barrier to entry is very low, and the learning experience is very high. So back to the workplace: if we want individuals to continue to develop and learn and grow to their full potential, physical education in the workplace should not be ignored. I am very grateful to have worked at a company which valued this during my early years in the workforce. I was employed by the sportswear company adidas, and as you might expect, the culture was stereotypically one which valued sport and the participation in sport. Everyone was encouraged to play, train, run, sweat. No one ever had to make an excuse to leave work to get to the ice to play hockey or “sneak out” at lunch for a run. It was encouraged and expected, from the top down. The in-house gym was never a lonely place. Typically at lunch I would run with my boss, my boss’ boss and often the president of the company. When I started in a marketing role I soon learned that my boss, my boss’ boss, and my boss’ boss’ boss (yes, I was fairly low down the totem pole) had all done the Ironman, and it was somewhat expected that I would as well. Some of these people were natural endurance athletes and others were average joe’s who took up the challenge. But it was a culture of getting out there and doing it which was contagious to everyone around. So I signed up, trained for and completed the Ironman, knowing I had the full support and endorsement of my employer. Looking back I realize how rare and special this was. I learned a lot about myself and grew tremendously as an individual because of the athletic opportunities I took with the help of my employer. If we really want to invest in the education and personal development of people, whether it’s kids at school or employees in an office, we cannot leave out the physical aspect. Some school educators get this better than others, and some workplaces do as well. We don’t all have to do an Ironman, but why not endorse participation a local 5K or 10K? It’s as simple as creating a culture where it’s the norm. Speaking from experience, when your boss’ boss’ boss is going for a run, you do too. And you will very likely learn a lot about yourself in the process. However I do think about how I am supposed to make the “right” decision, especially when it comes to conflicting priorities, like work, family, and my own athletic pursuits. Here is an example I’m struggling with; I find longer tempo workouts particularly challenging on my own, and therefore I don’t do them as often or as well as I should if I want to realize my best results in races. 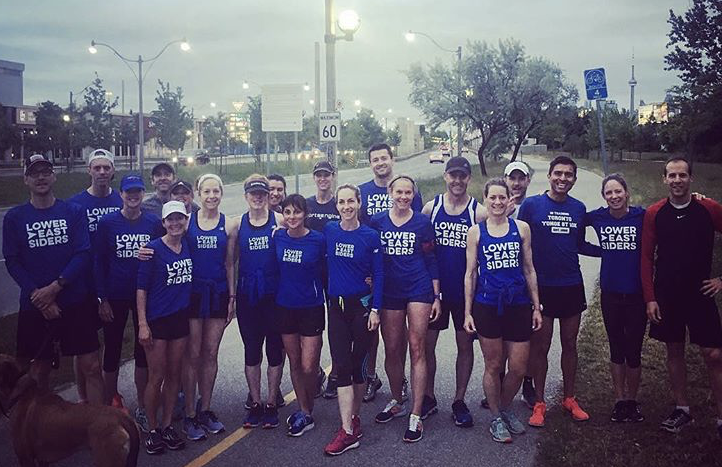 I do however have a coach and group of runners to run with and push me on the exact day I need to do my tempos – Saturday mornings. But these workouts are across town and what I could get done on my own in an hour if I just stepped out my door could take me three hours if I meet the group. So then I’m stuck deciding… is it worth it? Three hours away from my kids and family on a Saturday for a better quality workout? I play it out over the long run – what could these workouts possibly lead to? Maybe 10-15 seconds faster in a 5K, 30 seconds to a minute in a Half Marathon? Do I care about that more than say going for a family bike ride or hike or library visit which we love doing together? But then, what if my kids are being ungrateful brats who are whiny and refuse to do anything (it sometimes happens) and I’m stuck with them for an extra two hours vs. doing something rewarding and energizing for myself? See what I mean? There is no clear answer as to what the “right” decision is. If I were completely invested in my running and results I would do the workouts. And if I didn’t care at all about running results I’d invest the time with my kids. My reality is somewhere in the middle. I guess like most things in my life, I’ll probably just compromise. I’ll go to the workouts sometimes and do family time sometimes. I won’t be the best, most present parent, and I won’t be the fastest runner I can be. That’s just how it’ll be for now. Until the wind changes direction again and a new option pops up. http://runningwell.ca/wp-content/uploads/2018/06/logo-home-4.png 0 0 admin http://runningwell.ca/wp-content/uploads/2018/06/logo-home-4.png admin2018-09-17 16:13:562018-09-17 16:13:56Conflicting priorities - how do you decide? A few months ago I took a mindfulness course. As part of it I was supposed to write a Gratitude Letter. This is a letter to someone who has had a positive impact in your life. You are supposed to write down all of the things you’re grateful for and then send it to them. I didn’t do this. But I did do it in my head. My person was my running coach who I started training with when I was 15; Ross Ristuccia. Since that first practice in 1991 when I showed up at Winston Churchill Park in my shorts, t-shirt and running shoes, Ross has been a steady, guiding influence in my life. He’s never asked anything of me, but I’ve always known that he will be there and eager to help me whenever I ask him. There is a lot to be said for unconditional, reliable support. Especially as you go through all of the torrent of changes which happen between the ages of 15 and 42 (there are a few). I often think about what Ross has had to hear from me over the years. Here is a sampling in chronological order.